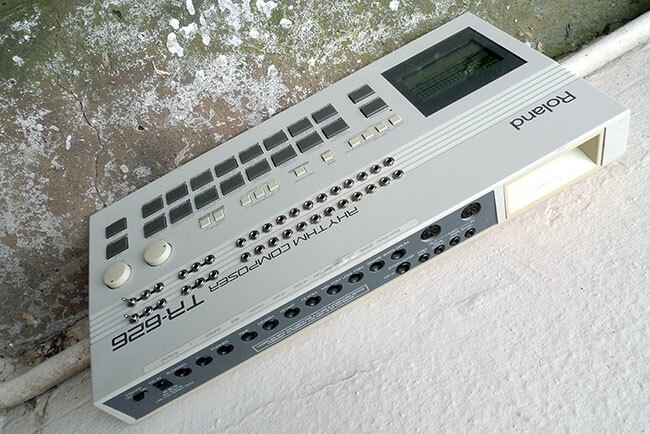 The Roland TR626 is another one of those somewhat overrated 12 bit Roland TR drum machines but far less so than the TR505, despite the fact that technology wise its more or less identical. The main features that make the TR626 a step up from the TR505 are some slightly better sound editing features, an expanded soundset and the fact that the TR-626 has individual outputs and a trigger output as standard. 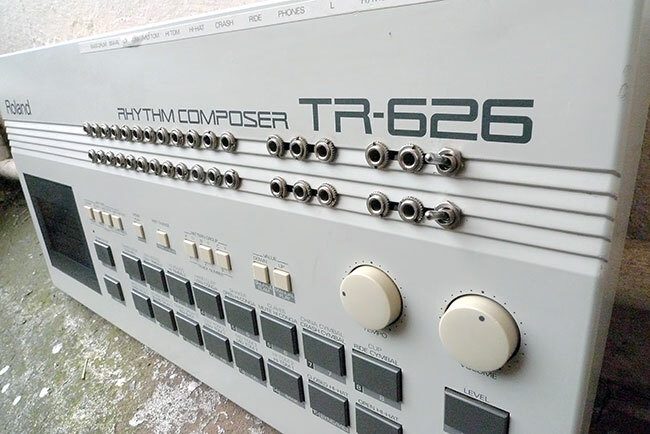 In many ways the TR-626 has more in common with the TR-707 than the TR-505, it certainly bears no relation whatsoever to the TR-606. 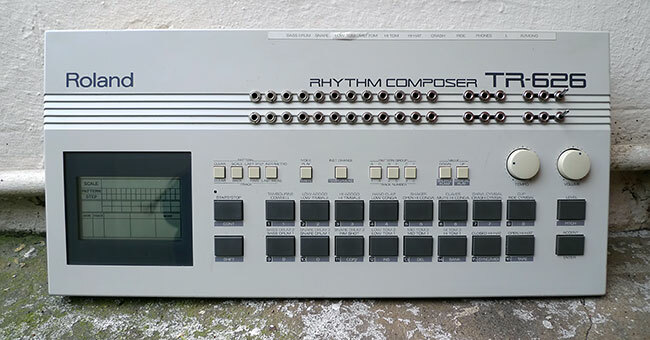 Basically if you want a TR505 that might actually be usable as a drum machine instead of just being a handy way to prop a door open, get a TR626. 24 way main patchbay: More information and details of our patchbay mods can be found HERE. if you want your TR626 modded get in touch using the CONTACT form.